Rajiv Gandhi Memorial College of Aeronautics (RGMCA) was established in 1992 in the State of Rajasthan at Jaipur, the Pink City of India. 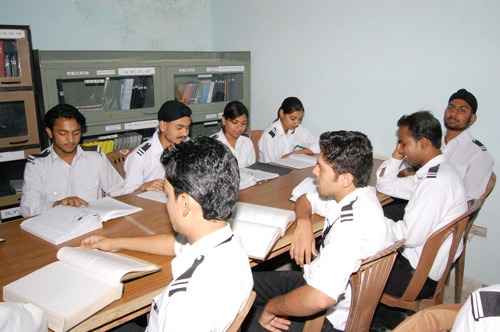 The purpose for the college is to meet the demand of trained technical personnel for the Aviation industry have been facing acute shortage of Technical personnel to Service, Mainyenance, Repair and Overhaul the Aircraft Fleets till now. Further with the opening up of air routes to the Private Operators, the demand for the technical hands has shot up considerably. Would you like to shortlist this college? Shortlist this college to receive Review from Admission Officer. You have shortlisted this college. Check your admission chances by providing us with your 10th and 12th board and overall scores. Would you like to find the scholarships you are eligible for at this college? Click to see scholarships matching your preferences and check your eligibility. One heavy weight aircraft AVRO HS- 748 and one light weight NAVION aircraft with engine running for practical training of students of our institute. Four jet engine out of which one is dismantled condition for practical training. Two piston engine (Lycoming O-235 L2C and Continental E-185) for practical demonstration. Rich library with collection of books of Indian and foreign writers. The classrooms are planned to maximize light and space and students. Fully equipped workshops for our engineering students. We endeavor to develop and provide supporting infrastructure everywhere. Outside the classroom, secure hostels and hygienic food provide comfortable on-campus living. Excellent sports and recreation facilities give every student the opportunity to fully explore and develop their potential. Provide your educational details to view more insights. Students who graduates from this college find jobs under sectors such as pilots, aircraft engineer, flight engineer, crew, chef, airport services and flight attendance.